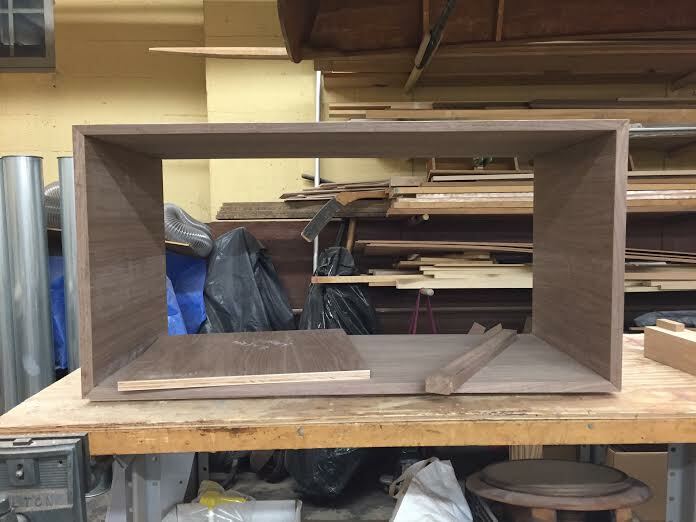 In January 2016, I purchased access to a Chicago Park District wood shop facility, and decided to undertake my first major woodworking project ([way] previous projects being: a painting canvas, a small wooden bird, a toy airplane) -- building a mid-century-style media console. Goodbye, IKEA TV stand! The design of the console was largely inspired by a piece being offered by a major furniture company in early-2016. 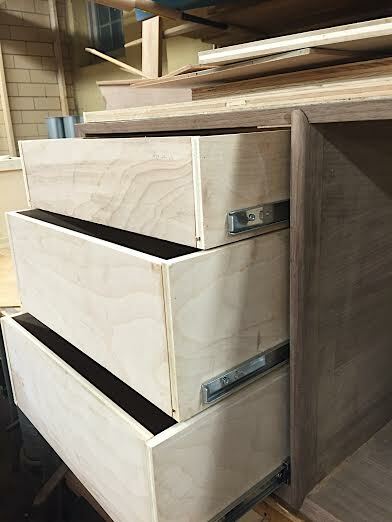 Under the guidance of the shop supervisor, I drew out the design, purchased walnut plywood and got to work. As I had never before built a piece of furniture, nor undertaken such a large woodworking project, I learned a great deal more about wood treatment, joinery, grain direction for various cuts, specialized power tools, construction and hardware installation. I'm incredibly happy with the end result. See process shots and the final piece below.